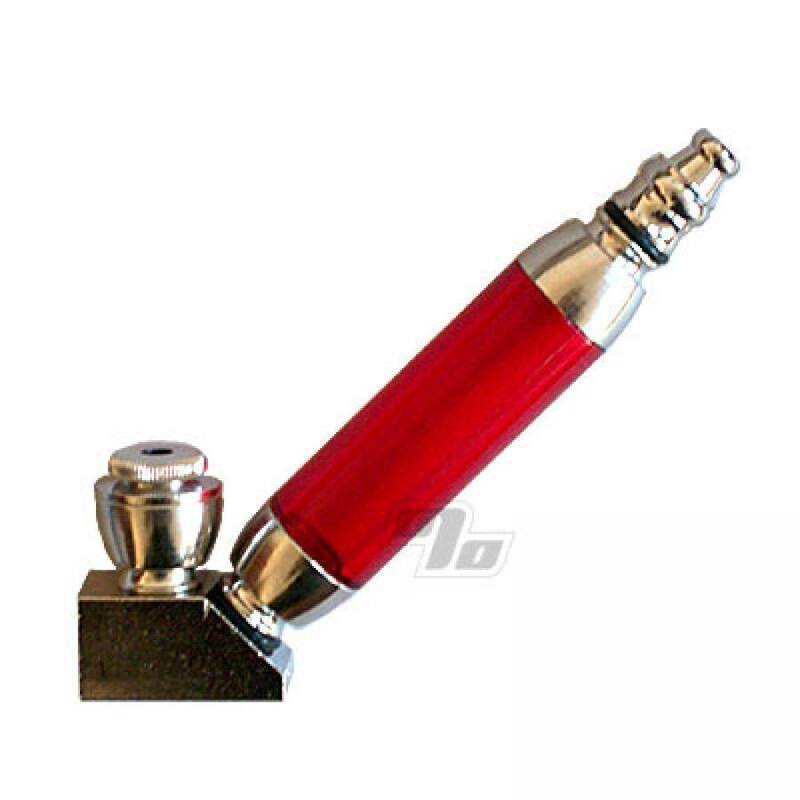 Upsize the sherlock hand pipe and still choose a color for the middle chamber. Pack some tobacco, cap it and put it in your pocket. 4 inches long by 3 inches high and includes free screens of course. Specify any color preferences on the order form. Love this pipe!! Works great!! Will buy another one. Does not stand on own but No big deal. Great pipe, hits good. Easy to clean. Like the XL. My only problem is the base is really rough. It did scratch my Raw rolling tray. Wife loves her new pipe! Large chamber gives a better, less hot puff. comfortable to hold and light. Good size to cool the smoke, good draw, strong enough to last threw being fumbled, easy to take apart and clean. Great pipe. Good draw,easy to load. Had to weight the base with a couple of pennies to balance it out though.All in all I'm very happy with it. Got this in, if you switch the bowl and stem you can stand it up (and it looks like a mini bong). This works but I am not happy that it refuses to stand up on its own. Everything else about it is good tho.